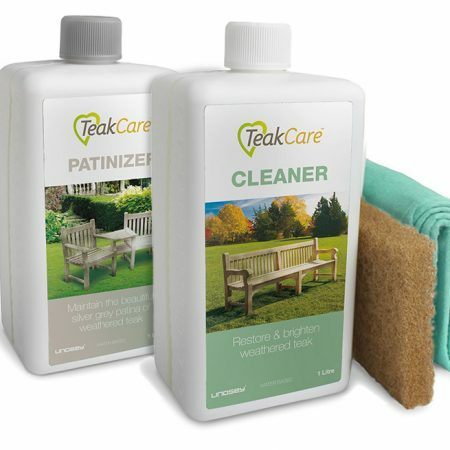 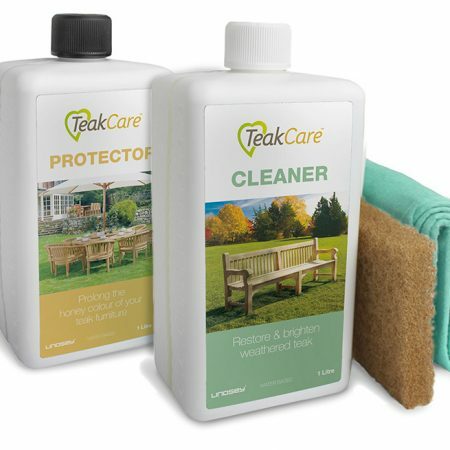 Our teak care products are specially formulated to care for your teak garden furniture. 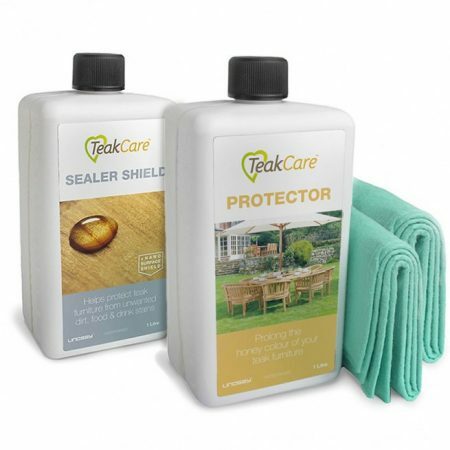 The full range includes our Teak Sealer, Teak Cleaner, Teak Protector and Teak Patinizer. 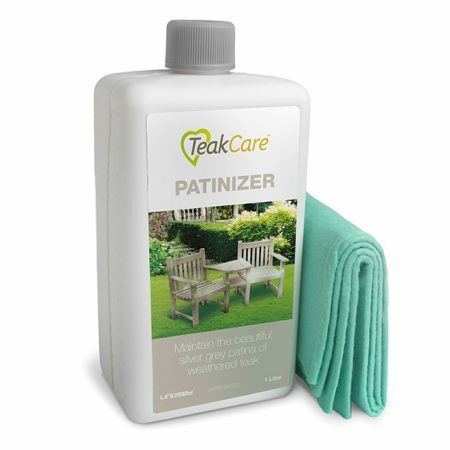 Each is designed to restore, enhance and maintain the appearance of your teak wood outdoor furniture. 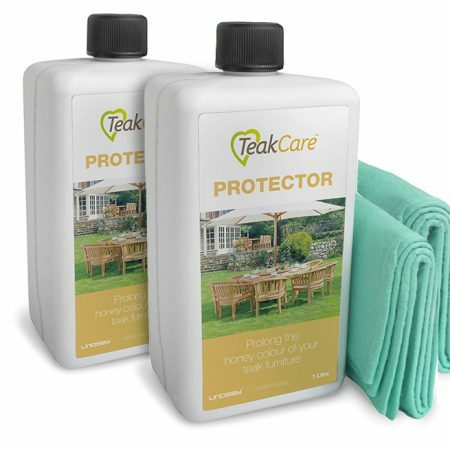 Each great-value bottle is 1L and covers approximately 7 square metres. 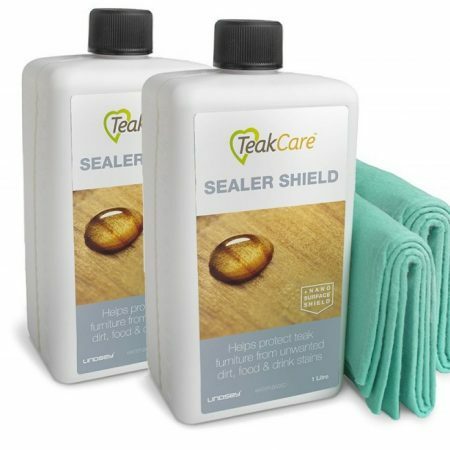 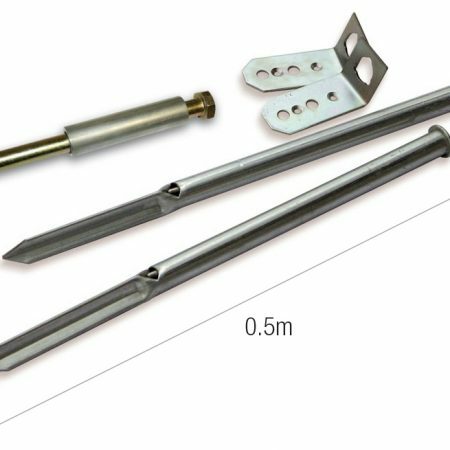 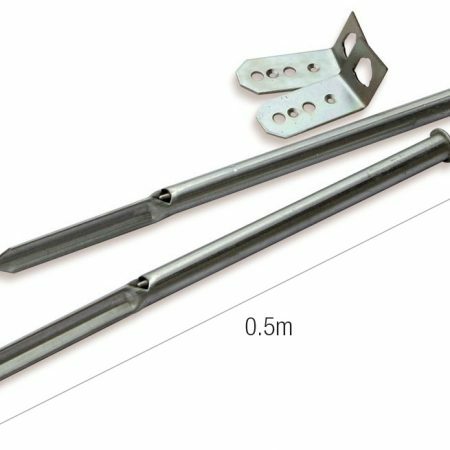 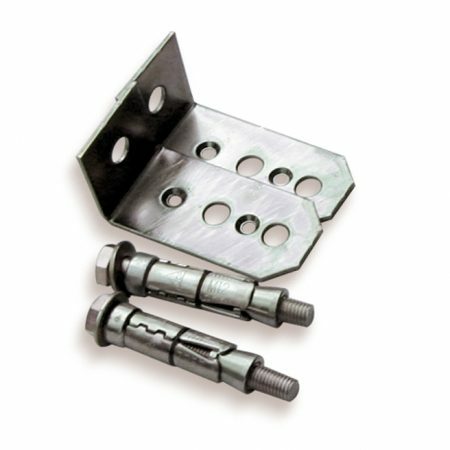 They only need to be applied sparingly and you don’t need to worry about treating the undersides of the furniture. 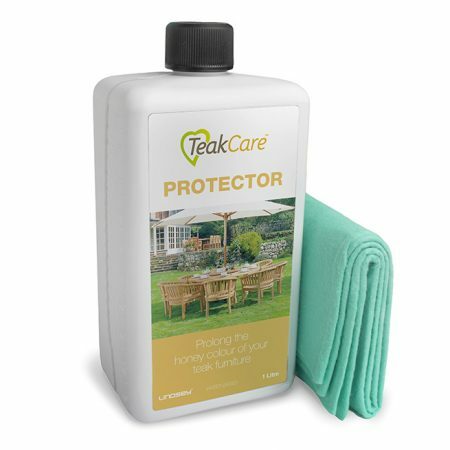 These teak treatments are easy to apply and they’re supplied with the relevant cloth or sponge for your convenience. 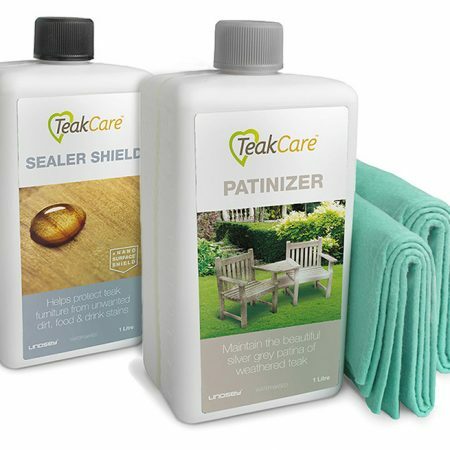 These teak furniture care products don’t contain hazardous solvents or VOCs, and as they’re water-based they won’t stain your clothes. 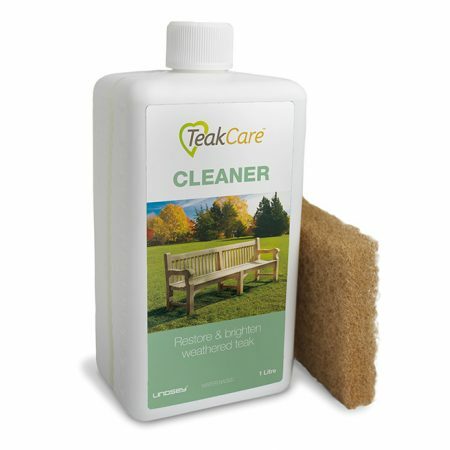 Teak is a durable tropical hardwood with a beautiful golden, honey-brown colour when new. 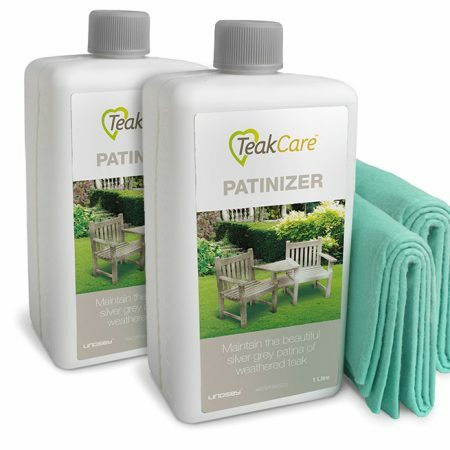 Over time as teak is exposed to the elements, it gradually changes its appearance. 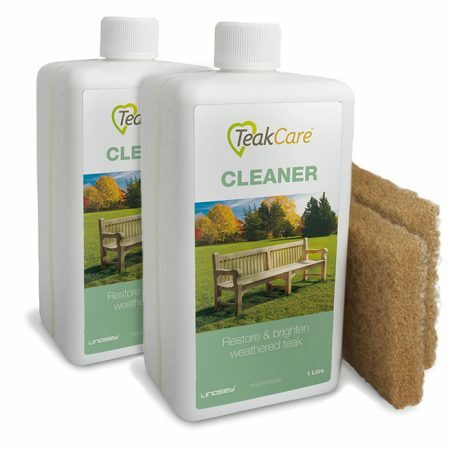 Here at Teak Care, we offer teak treatments to look after your outdoor furniture to keep it looking its best. 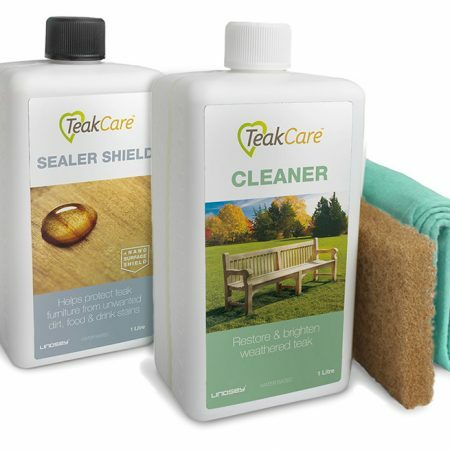 For more information about all our teak care products, browse our FAQ pages or give our friendly sales staff a call.